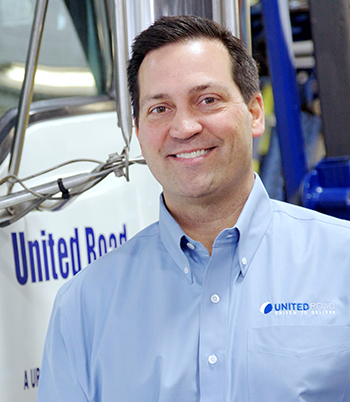 United Road Services, a provider of finished vehicle transport logistics based in Romulus, has announced the appointment of Mark Anderson as CEO, effective Jan. 1, 2019. Anderson currently serves as president and COO. Kathleen McCann, chairman and CEO, made the announcement. McCann joined the company in 2011. United Road has since more than doubled in size both organically and through acquisitions. Its customer base is now 10,000 unique customers, and it has expanded its carrier network, enhanced its proprietary technology, and is on track to move more than 3.5 million finished and remarketed vehicles throughout the U.S. and Canada in 2018. Anderson joined the company in 2014 as COO and added president to his title with a promotion in 2016. He has more than 25 years of experience leading businesses with significant logistics components, including car hauling, solid waste collection, fuel distribution, OEM plant services, and others. A national search is underway for a new COO. United Road is a portfolio company of The Carlyle Group, a global alternative asset manager that acquired United Road in 2017. McCann and her management team led United Road through three private equity sponsors. The company was founded in 1998 and has locations across the U.S. and Canada.